“Dance / And”, our upcoming Summer Intensive, focuses on the intersectionality of dance, and discovering how embodiment factors into science, psychology, politics, communication, relationships, by collaborating with theater artists, filmmakers, scientists, vocalists, activists, dramaturgs. Can we reposition movement investigation as an essential act of survival? Adam Barruch began his career as a young actor, performing professionally on Broadway and in film and television, working with prominent figures such as Tony Bennett, Jerry Herman and Susan Stroman. He later received dance training at LaGuardia High School for Music & Art and Performing Arts. After three years, he graduated early and was accepted into the dance department at The Juilliard School. As a dancer he has performed the works of Jiri Kylian, Ohad Naharin, Susan Marshall, Jose Limon, Daniele Dèsnoyers, and was a dancer with Sylvain Émard Danse in Montreal. He has also worked with The Margie Gillis Dance Foundation, performing and researching Conflict Transformation as part of The Legacy Project. Based in Brooklyn, Adam currently creates and performs work under the epithet of his own company, Anatomiae Occultii. 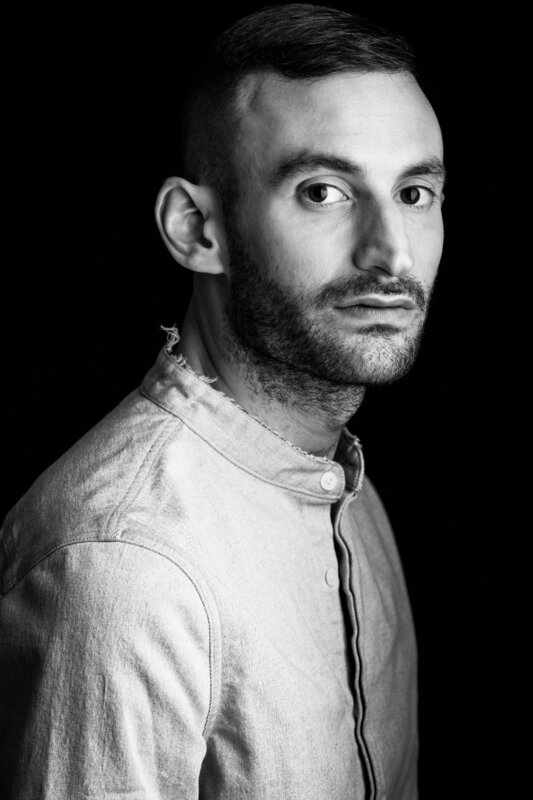 Adam has also created works for companies such as The Limón Company, Ailey II, Keigwin + Company, Ririe-Woodbury Dance Company, River North Dance Chicago, BalletX, Whim W'Him Seattle Contemporary Dance, Graham II, GroundWorks Dance Theater, Minnesota Dance Theatre and The Gibney Dance Company. Laying on the floor, the technique class will begin with physical imagery exercises, based in the Alexander Technique, to awaken and organize the body, as well as to tune into the tactility of the limbs on the floor. The class will continue with dynamic flooring sequences; warming and opening the body while encouraging a sequential, joint-articulated physicality. In utilizing the floor, the dancers will explore the momentum of skeletal initiations, and an efficient muscularity of the body. An investigation of how the anatomy can either inhibit or encourage the continuity of movement will be emphasized. The initial phrases will build to seamlessly bring the dancers into standing movements that aim to stabilize and continue the body's connection with the ground. As the warm-up progresses, the range of physical textures and coordinations explored will expand--challenging the retention of a pliant, seamless and organic flow-through in motion. All sequences will be executed on both right and left sides, and will aim to break down and analyze different modalities of movement frequently occurring in contemporary choreographic processes. Following will be traveling movement phrases exploring complex port de bras, great shifts of weight and circular patterning. Growing up in South Florida, and currently residing in New York City, Nugent considers and wonders about existence, pause, process, and an allowing of individuation within performance and teaching, questioning what is this practice in the world now. Jennifer Nugent danced with the Bill T. Jones/Arnie Zane Company from 2009-2014 and David Dorfman Dance from 1999-2007, receiving a New York Dance and Performance Award (Bessie) for her work in the company. She has also performed with Martha Clarke, Lisa Race, Doug Elkins, Bill Young, Colleen Thomas, Kate Weare, Barbara Sloan, and Dale Andree. 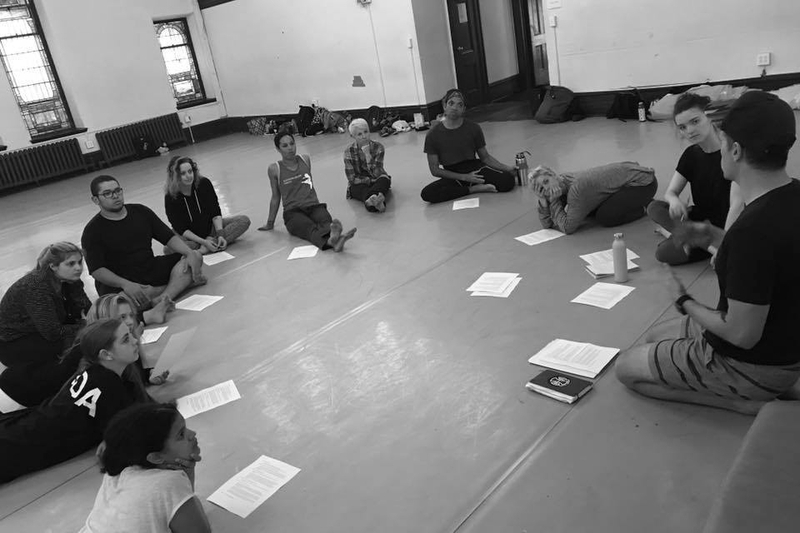 Jennifer's movement and teaching are inspired by all her teachers and mentors, most profoundly by Daniel Lepkoff, Wendall Beavers, Gerri Houlihan, David Dorfman, Bill T. Jones, Janet Wong, Wendy Woodson, and Patty Townsend. Her choreography and duet collaborations with Paul Matteson have been presented in New York City and throughout the United Stated. Their most recent work premiered at New York Live Arts in Fall 2018. Nugent is currently working on her masters degree at The University of the Arts (Philadelphia), teaching at Gibney Dance, Sarah Lawrence College, and is a Spring 2019 Hearst Artists in Residence with Paul Matteson at Princeton University. Using improvisational and set warm-ups, we will focus on the volume and weight inside the body and its relationship to the floor and movement. Exercises that bring awareness to the feet, spine, and pelvic floor encourage the feeling of release in the limbs, allowing us to fall and suspend off center, simultaneously finding a grounded, flexible base of support. Using these physical tools, we will explore sensation, instinct, and the inherent musicality inside the body, phrasing. All the while dancing, we will work toward a more grounded and direct approach to movement. This class explores the qualities of released and off-balance dancing while daring students to find disparate qualities of stillness and explosion. Students are encouraged to develop an individual style driven by their internal life and the specificity of their bodies. By researching movement tasks as opposed to recreating shapes, students will begin to solve kinesthetic problems in a profound and personal way. We will focus on becoming compelling and magnetic performers, and working within a broad range of movements, from vigorous and athletic, to gestural and theatrical. The movement is approached from many systems: muscular, skeletal and nervous system, inviting dancers to work with versatility, intuition, strength, flow, stamina and ease. This class examines ideas around embodiment and emotion through the lens of Jungian psychology. Starting from the premise that much of our knowledge is stored in the physical body, we aim to use movement to excavate hidden resources. Tracy Sidesinger, PsyD is a psychoanalytic psychologist in private practice in New York City, working with adult ifndividuals and couples. She has postgraduate training in both Jungian and Relational psychologies. She teaches at the interfaces of psychology and religion, and psychology and the body. Her writing focuses on feminism and spirituality, as well as collaboration between all psychologies of the unconscious in order to make the creative potential of the unconscious more accessible in contemporary culture. This class focuses on the Enteric Nervous System, or the 109 million neurons that live in the gut. Primal, instinctual, animal responses to stimuli, particularly other bodies, is the primary interest in this class, which traffics on the intersection of dance and science. How do our bodies become the front lines for change? How can we manifest revolution physically? This class accesses the embodiment of social justice, and asks how we can affect change in both ourselves and our environment through personal physical action. In this class, we will deconstruct and reconstruct our ideas of storytelling to clarify our intentions and find a personal, unique perspective of narrative. Memory, composition, construction, and chronology will be utilized towards the end of vivid communication. Here, we will explore the myriad possibilities of meaning making. Ideas around time, space, relationship, and process will be offered to help artists access a unique and idiosyncratic process for creating and conveying meaning. $50 deposit is required to secure your place in the workshop. After you’ve made your $50 deposit, you may either pay as one sum of $375 or two sums of $187.50. Contact us at katieabdances@gmail.com if you would like to set up an alternate payment plan. AB Dances Cancellation Policy: * Deposit is non-refundable. AB Dances will provide a full refund of course price minus deposit if reservation is cancelled before 6 weeks in advance of first start day; after that day, 1/2 of full course price is due. At that time, only half of full course price (minus nonrefundable deposit) will be refunded. Full payment for course is due two weeks in advance of start date. At this time no part of the full course price is refundable (exceptions made ONLY on a case-by-case basis). $50 due at sign up (nonrefundable), $187.50 due before April 28 (not refundable after April 29), $187.50 due before June 27 (not refundable after June 28) or student may make one full payment at start. If you have something you believe could be a conflict, please contact us at katieabdances@gmail.com at sign up to discuss options. Payment Plans are available: If payment timeline isn't possible for you, please email us at katieabdances@gmail.com to set up a payment plan.